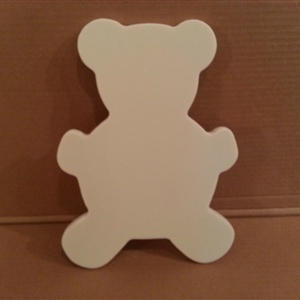 Solid surface Cutting Board in the shape of a Teddy Bear. Approximate Dimension 1/2" x 9" x 12". Random colors depending what is in stock. Special color and quantity requests available at custom proposal pricing. You can how ever ask for a color, and if it is in stock we will gladly sell it to you.